Lowy Institute polls consistently find that only around 60% of Australians believe that ‘democracy is preferable to any other kind of government’and only about 40% of 18-29 year-olds in see democracy as preferable to any other kind of government. Declining knowledge, engagement and interest in most areas of democracy highlights it is a national imperative to deliver Civics and Citizenship Education (CCE) into every classroom in Australia. Our Australian way of life is threatened if our youth are not encouraged to be active and engaged citizens and members of our community. The Constitution Education Fund's mission is to deliver measurable improvements in Australians’knowledge, understanding of attitudes towards, and engagement with the history and operation of our Australian Constitution and the system of government that operates under it and our civic heritage more generally. The Australian Curriculum Assessment and Reporting Authority (ACARA) is collaborating with The Constitution Education Fund to provide evidence-based measurement reports for the expected individual student improvements. As CEFA projects are implemented there is no doubt we will see improvements in attitudes towards the Australian democracy. How can you support The Constitution Education Fund's vital work in Australian schools? The Constitution Education Fund's Parliaments in Schools are creating a new generation of active and informed citizens as a multi-dimensional civics and citizenship initiative. 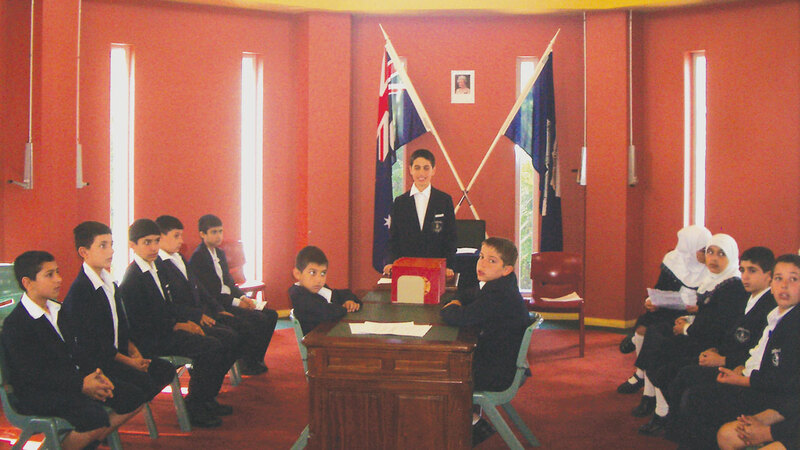 The Parliaments in Schools program gives students an opportunity to run elections and parliaments in their schools, class or group. Students take on the roles of parliamentarians, advisers, parliamentary officers, committee members, researchers, journalists and cartoonists. Students write their own bills, debate the issues and implement legislation. Offered to both primary schools and secondary schools across Australia, The Constitution Education Fund's Parliaments in Schools empower students to become knowledgeable, responsible, engaged and active citizens. To become a mentor for a Constitution Education Fund Parliament in the school of your choice register with us. Each school parliament can be supported by individual sponsors, parent groups, local business and school fundraisers. For each school we need to raise a total of $2,000 to ensure teacher training, resource support, school visits and The Constitution Education Fund implementation of a school parliament for a one year period. All donations are tax-deductible. For further information regarding a parliament in the school of your choice call us on 1800 009 855 or email info@cefa.org.au.